This book provides a great reference tool for ancient Greek Philosophy. 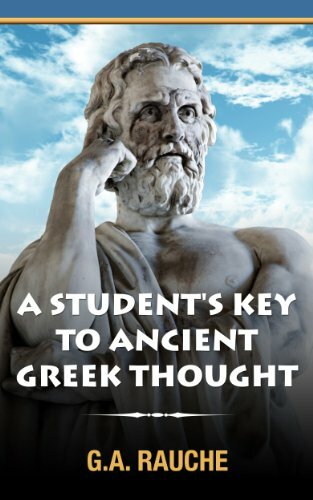 Since the Ancient Greeks influenced much of our culture and philosophy today, this book will give readers some insight as to how the Greeks developed their philosophies and will help readers better understand why things are as they are today. Ever wanted to know the connection between Greek Mythology and Philosophy? Have you ever wondered: Why are things as they are? Why do things happen as they do? How curious the world is! In a powerful account of the works of amazing ancient authors, this book reveals the beginnings of knowledge and wisdom in Ancient Greece. Greek Philosophy played a key role in Ancient Greek History and Culture. How does this help us today? There is a direct link between our quality of life and the quality of our thinking. Our definition of Critical Thinking is strongly linked to Ancient Greek Philosophy and ideals of "living an examined life". Imagine getting a solid basic understanding of Ancient Greek Philosophy, empowering you to confidently join conversations on philosophers from Thales to Pythagoras, Socrates, Plato and Aristotle! The book is not a quick-fix. It challenges the reader to think. To grasp this book, suspend all pressing concerns, and travel back to a precious time in human history as experienced by a migrant people. It will make you realize that �the shortest route to oneself is around the world� (Hugo von Hoffmansdal).